BioScience Laboratories, Inc. (BSLI) conducts moisturization testing on a regular basis. Located in Bozeman, Montana, the high, dry climate is ideal for conducting skin moisturization studies. At nearly 5,000 feet above sea level, Bozeman’s long winters and low relative humidity contribute to dry skin conditions. According to a 2018 study published in the British Journal of Dermatology, low humidity and temperatures during winter months leads to drier skin conditions. Average baseline Corneometer readings in study subjects’ forearm controlled application tests (FCAT) at BSLI are usually between 21 and 30, well within the categories of dry and very dry skin. Our baseline transepidermal water loss and Skicon readings also reveal dry skin conditions, so our test subjects require only 5-to-7-day restriction periods before new readings are taken following product application. BSLI’s testing facility is the perfect place to test the effectiveness of your skin-moisturizing products and provide you with the basis for compliant claims substantiation about their ability to help skin retain moisture. Tewameter® to measure the rate of trans-epidermal water loss (TEWL), to identify levels of skin damage. Corneometer® to measure moisture in the outer layer of the skin. Skicon® to measure the moisturization content of the stratum corneum layer of the skin using high-frequency conductance. VISIA II® to measure spots, wrinkles and UV damage on the face. Chromo Meter CR-400® to measure color/tone of the skin. The winter season in Bozeman, Montana runs well into May every year. Even with temperatures rising during the summer months, the humidity levels drop significantly, leading to year-round dry skin in subjects in Montana. Currently, Bozeman is well into our winter dry season. 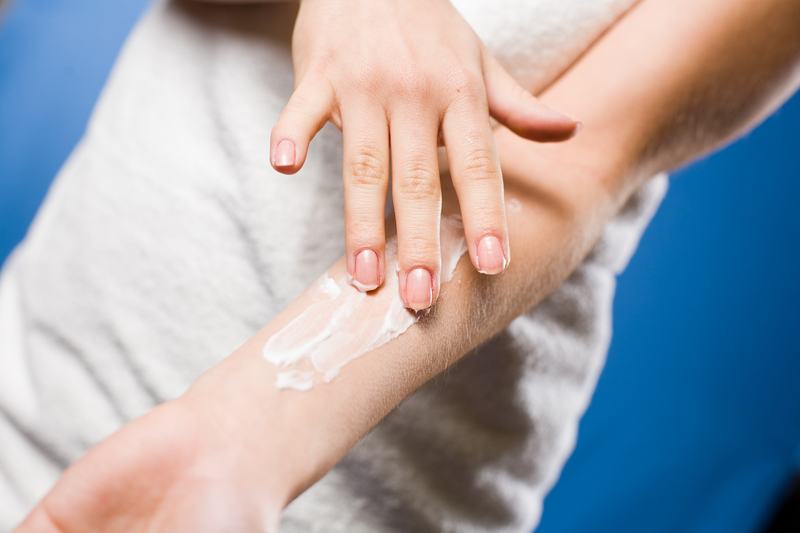 If you would like to discuss conducting a moisturization study, contact us today. Are You Ready to Start Your Next Preservative Efficacy Test? Why Do Companies Use the Health Care Personnel Handwash Study to Evaluate their Products? Materials Testing: Are You Stressed Out?